It's a lovely evening here in Spain, and you walk into a nice restaurant for your evening meal (“la cena”). You ask the waiter for “the menu” and he says that they have no menu. What gives? All around, you see people happily eating and some are even holding menus and ordering. If you raised your voice would he (or she) understand? Is the waiter just being rude to foreigners? This confusion is typical of many you are likely to experience as a first-time visitor to Spain. The problem is what linguists call a false cognate or, more informally, a false friend. 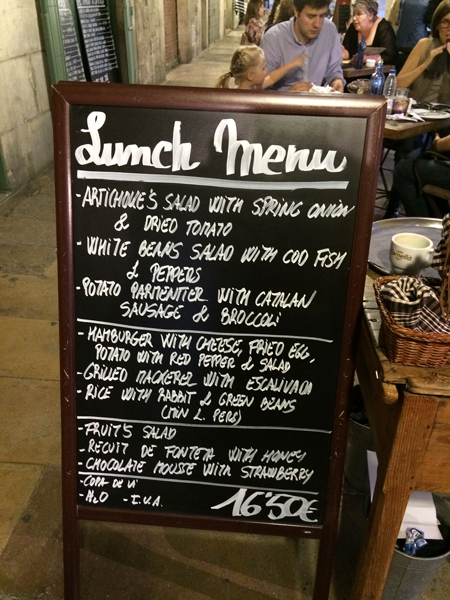 The Spanish translation of “menu” is “carta.” They also use the word “menú,” but it has a different meaning. 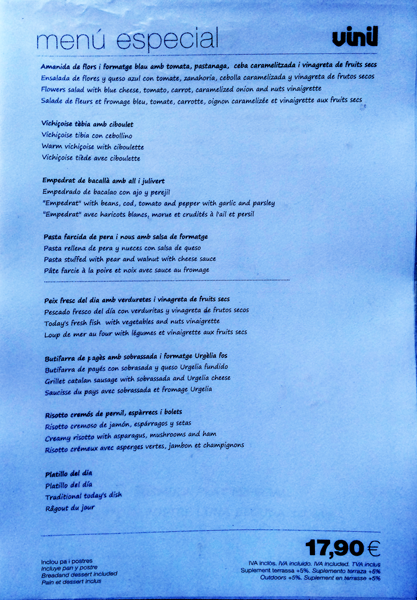 The “Menú del Día” is the fixed-price, 3-course menú offered in midday by most restaurants. Sometimes the menú is offered in the evening, but that is an exception. (See Menú del Día elsewhere on this blog.) There may also be a Menú Degustació, which is an elaborate fixed-price menú with numerous courses, sometimes with a different wine accompanying each course. That menú may set you back €50-€100 and is a lengthy affair. It can leave you wonderfully satisfied and not knowing where or even who you are. 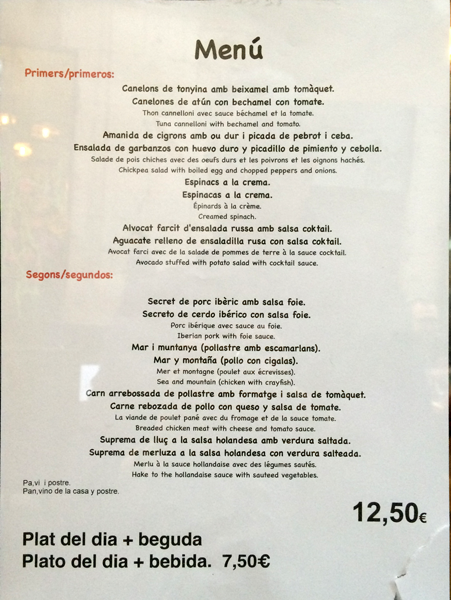 There are other special menús, such as “Menú Especial” or “Menú Temps de Flors.” In each case the “menú” is a fixed-price meal. If you want to see what you think of as a “menu,” ask for “la carta,” which is a list of all the appetizers, main courses, desserts, and drinks that the restaurant routinely offers. So, what is on the menu? That will be your next challenge, but waiters are very accomplished at getting across the meaning of Spanish terms for food, using a mixture of a few English words and sign language.